We worry that young people are no longer interested in motoring history or older cars. But we’ve just come across powerful evidence that the passion is alive, and in rude health, in the next generation. Your webmaster met Thomas Dhaleine very recently. 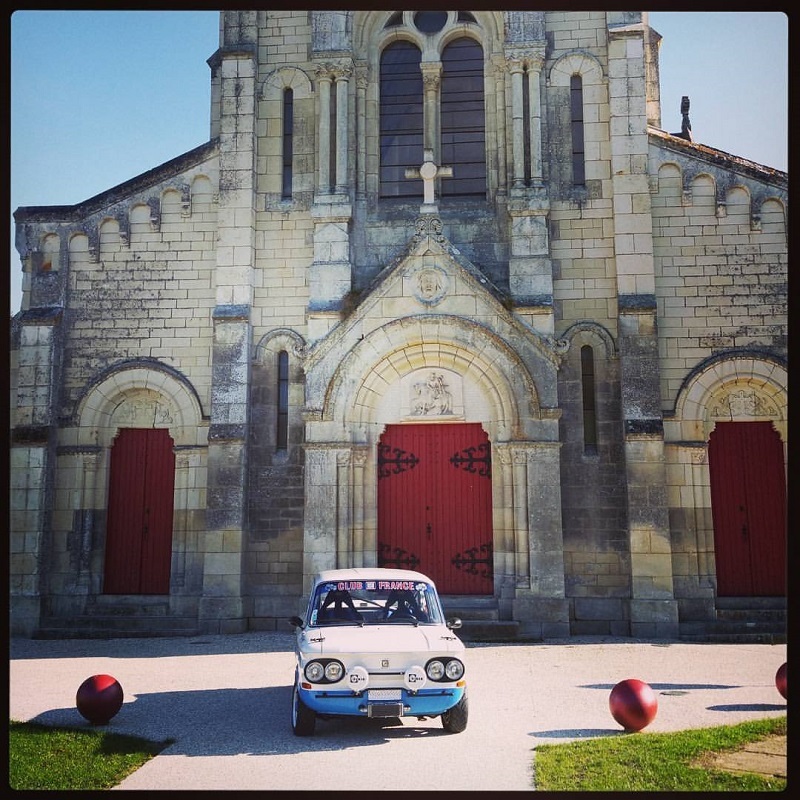 Thomas is French, and lives and works in France – but his passion is not for French cars. Indeed, in 2008 at the tender age of 18 and thinking about his first car, he specifically did not want to buy what all his friends were buying: the obvious Peugeot 205 or 206, or Renault Clio. 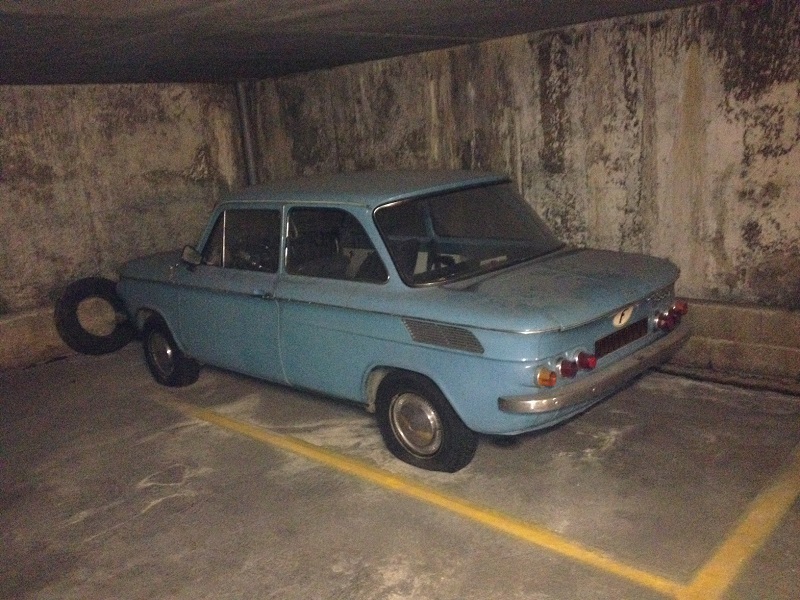 Instead, he found a 1968 NSU Prinz 4 in Chantilly. Just what he wanted – something different. He bought it, but then proceeded to fail his test. So the poor little NSU was consigned to his garage. Although he soon passed, it stayed there for a year and a half until he finally got around to driving it. But then the bug well and truly bit. In 2011, Thomas travelled to Tours to buy some Prinz spares. The seller just happened to mention that there was a car as well – but she had no idea that the car matched the spares. It was an early Prinz 4 from 1962 – and became Thomas’s NSU number 2. He attached a new battery, and the car fired up after 15 years of slumber. And one week later, through the post from the seller, came all the car’s papers, plus the spare key. He didn’t stop there. For his 26th birthday he treated himself to NSU number 4 – a 1969 1200TT “Course”, known to the French NSU club and a frequent race winner. And finally, just two months ago, Thomas found a totally unspoiled and original 1000C in an underground car park in Dijon. Very few of these survive, since apart from the headlamps they look identical to the much sought-after 1200TT, and thus often get converted into replicas. 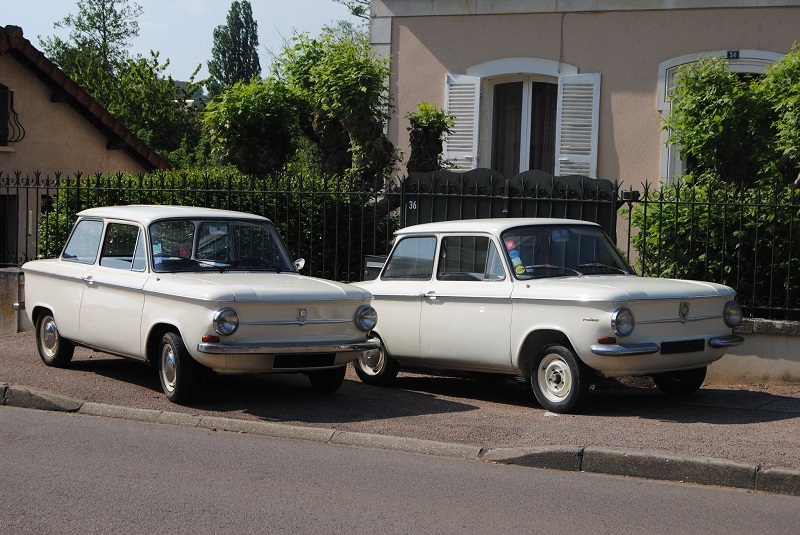 Following the original NSU Prinz models I, II and III built between 1958 and 1962, the NSU Prinz 4 was a much-revised and modernised car – and a star of the 1961 Frankfurt Motor Show. As with the original Prinz, it was powered by a rear-mounted air-cooled 2-cylinder inline engine. The overhead-cam 598cc engine inherited the eccentric-rod camshaft drive from NSU motorcycle engines, and had a dynastart (combined starter/generator) built into the crankcase. In 1963 came the slightly larger 1000C, still air-cooled but now with 4 cylinders and 996cc. This developed into the 1000TT and later into the 1200TT. 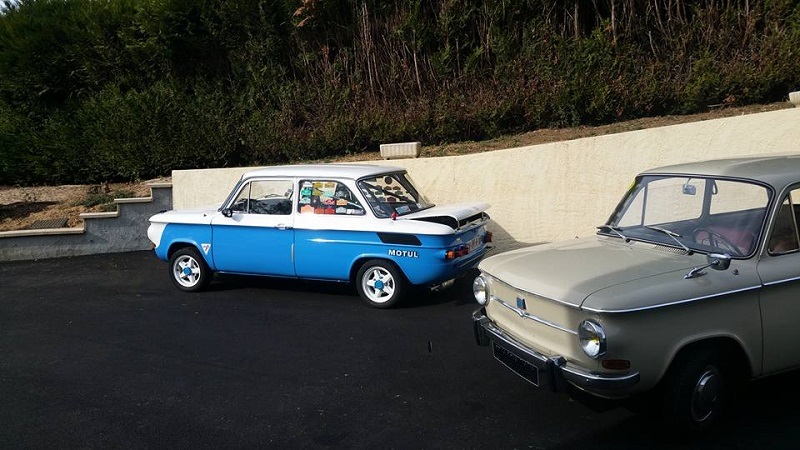 Thomas’s cars therefore represent a remarkable collection that tells the story of the development of an important, high-quality sporting German car that survived until 1972 when it was succeeded by the front-wheel-drive Audi 50 – later to be re-badged as the VW Polo. We are very grateful to Thomas for his permission to publish these photos of his cars. His enthusiastic explanation of the history of the NSU Prinz 4 shows us that the future of motoring history might focus on different periods – but it is still in safe hands. NSU numbers 3 (right) and 4 (left): 1967 Prinz 4L and 1969 1200TT "Course"
NSU number 4: 1969 1200TT "Course"